Biker TireMoni TM-4100, waterproof display, 2 Sensors, Measurement range up to 4 Bar. 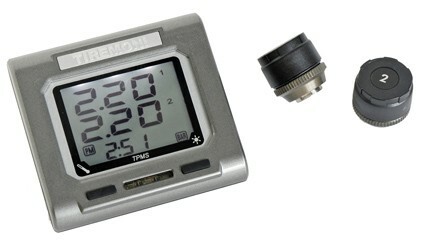 Tyre Pressure Monitoring for Bikes - TireMoni TM-4100: Display waterproof, 2 Sensors, Measurement range up to 4 Bar. Including batteries and anti-theft rings and allen-key. Drive relaxed and safely.